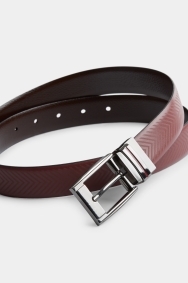 This Ted Baker herringbone belt is simple yet stylish. Because it’s reversible it is a versatile addition to your collection. Choose from a range of sizes to get the ideal fit and use it to complete any look with Ted Baker style.